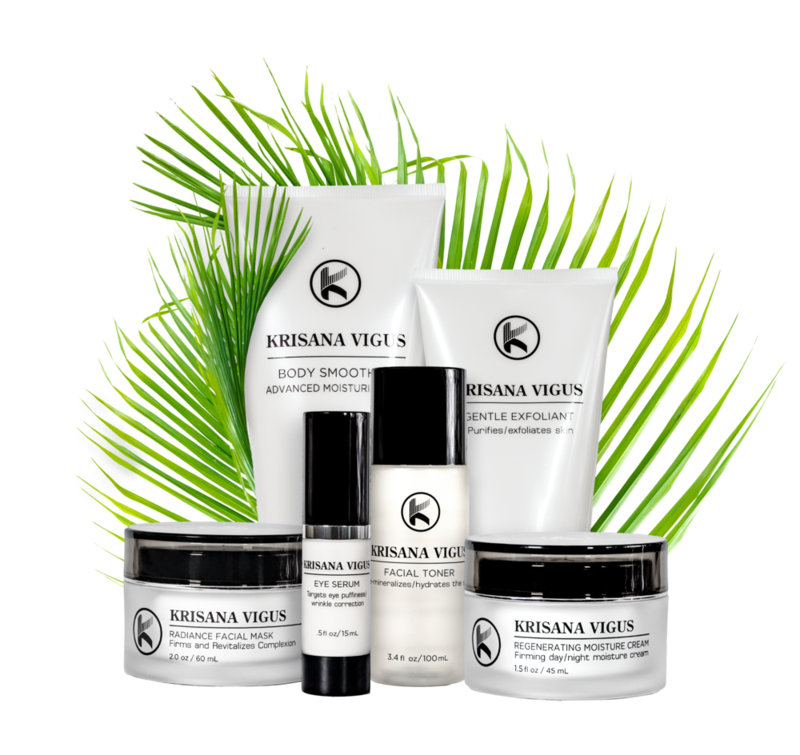 At Krisana Vigus our mission is to create and provide simple, pure, and result-driven skincare. We want to reconnect beauty with nature by using the most advanced, natural ingredients, from apple stem cells to essential oils and vitamins. Krisana Vigus delivers comfort and beauty at all stages of life. From field to body, we derive our most powerful ingredients from sustainably sourced, natural origins that are complemented by the influence of science to maximize the effectiveness and absorption of nutrients. Blending the forefront of bio-technology with the timeless healing properties of Mother Nature, a recipe for innovation is born. Balancing natural and organic ingredients, representing up to 98% of each product, every ingredient has been hand selected and considered for its overall product efficacy; lacking any filler ingredients.